Your home’s roof is one of its most important components. It protects you from the elements, redirects precipitation away from your home’s structure and absorbs the sun’s heat. Selecting the right roofer for your home is a process that you should not take lightly. Today, Architectural shingles are the most popular type, replacing the old 3-Tab style. When researching roofers, find out if they are willing to provide a no-cost inspection and estimate. If one of the business’s representatives is not willing to drive to your home to examine your roof in an attempt to secure your business, move on to one who will. Do not settle for an inspection that is conducted by phone or through pictures sent via e-mail. A roofer worth his salt will show up for an in-person inspection to provide a true estimate. If a potential roofer lacks the appropriate insurance, cross him off your list immediately. 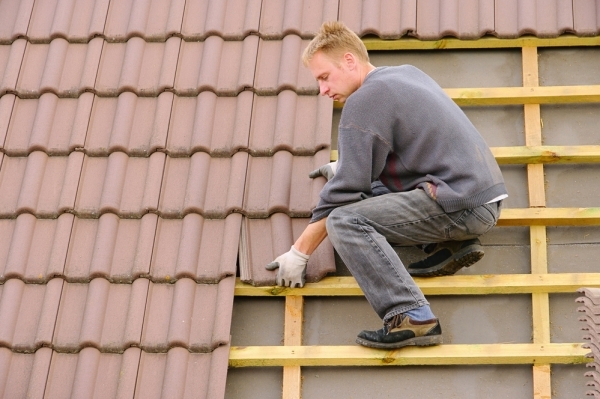 High-quality roofing contractors carry liability insurance to protect their laborers. Furthermore, the roofer should have workers’ compensation insurance to boot. If you were to hire a roofer that lacks such forms of insurance, you might be liable for expenses stemming from an on-site accident. Examples of such expenses include laborers’ medical bills and even lost wages. Do not be afraid to ask for documentation to prove that the insurance actually exists. Your roofer must be licensed to perform roofing work within the state of Connecticut. Roofing materials are quite sturdy, yet they will not last forever. It is imperative that you find out if a potential roofer uses materials that are covered by the manufacturer’s warranty. Verify that the warranty exists before the work actually starts. Take the extra step by making a copy of the warranty for your personal files just in case the roofing materials falter sooner than expected. Request that each prospective contractor put the details of your roofing project in writing. The days of honoring one’s word through a handshake agreement are long gone. A roofer that puts all of the project’s details on paper along with a signature will be legally obligated to honor such written promises. This way, you won’t be on the hook if a problem arises. The written agreement should contain information like the project’s total cost, the length of the project and the types of materials that will be used.